Bold and lively describe this gorgeous mountainside wedding. From galloping wild horses serving as a picturesque backdrop to a carefully crafted floral color palette, this wedding was guaranteed to stand out. Natural elements tie everything together bringing a pop of color to a naturally beautiful landscape at Devil's Thumb Ranch. Don't forget to checkout the one-of-a-kind doughnut wall! See more at Ruffled Blog. This wedding was nestled into a remote mountain destination combining luxury rustic styling and unique experience. Guests were joined by a bagpipes player and Tibetan Buddhist monks for a one of a kind wedding ceremony. See more at Aspen Magazine. This winter wedding combined the serene outdoors with the warmth of an intimate gathering. Complete with customized branding, this couple defied Colorado weather with a magical outdoor wedding nestled into the foothills in a chilly February. See more at Green Wedding Shoes. Convention went out the window at this urban locale in Denver’s RINO district, but none of the charm was lost for this modern couple. Every painstaking detail translated into an effortlessly elegant environment, capturing their maverick spirit and encouraging guests to settle in. See more at 100 Layer Cake. 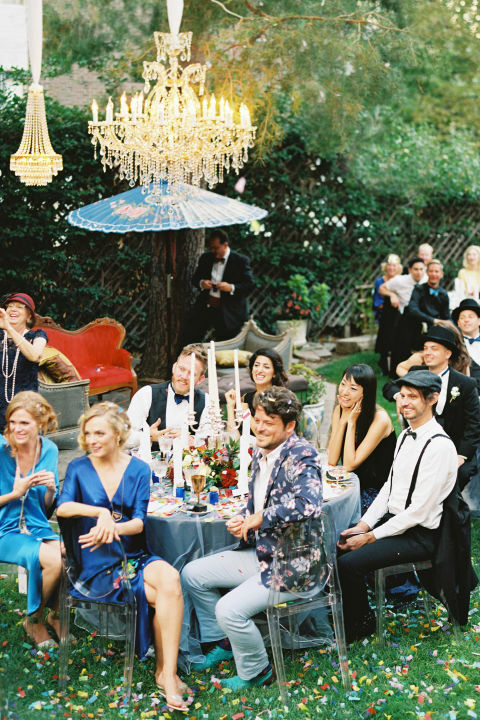 Whimsical only begins to describe this extraordinary late summer celebration. Layer upon layer of thoughtful finishes, unique to this couple, were served like courses throughout this grand family home in Denver’s Cheeseman Park neighborhood. Balloons poured from the windows, Art Nouveau furniture tucked in throughout and chandeliers hung from the trees overhead. See more at Town & Country. Learn how to effortlessly execute the perfect winter tablescape from Heather Dwight of Calluna. Heather touches on each element of decor from place settings to furniture pieces and how she created a cohesive mixed-metal styled shoot. The definition of Modern Mountain, this Crested Butte peak-top roost shined with touches of wood, iron and concrete tempered by linen and mirror. The carefully curated furnishings illustrated this couple’s confluence of individual styles in a tailored, thoughtful manner. The breathtaking view was only enhanced by an inspired perch to enjoy it. See More at The Knot. Combining lush draping fabrics, carefully thought-through personal details, and a beautiful mountain day on a family's cherished ranch results in a gorgeous not to be forgotten. 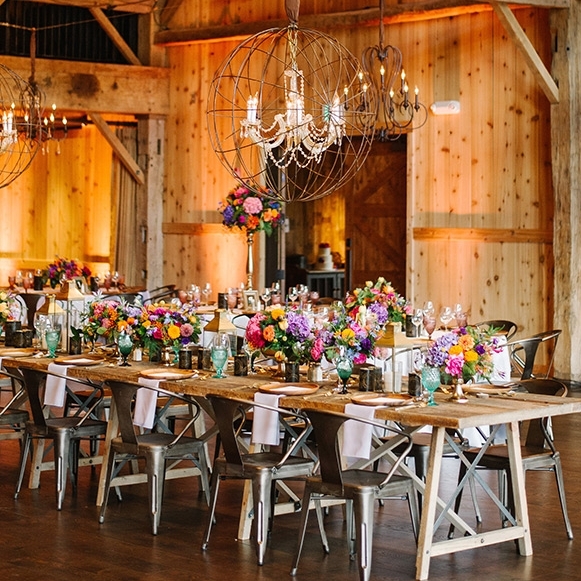 Take a look at this mountain chic wedding with drapery and lighting treatments creating the perfect day. See more at Couture Colorado. An intimate and comfortable gathering space was the point of this styled shoot. The warmth of summer was clearly captured with an undoubtedly cozy tipi, relaxed dining setting, and stunning florals. Get swept away into the comfort of the sun as you peek through these beautiful images. See more at Green Wedding Shoes. As if the packed-to-the-gills, bursting-at-the-seams snow cat ride up a hill to this venue in the middle of Winter wasn’t exciting enough, we enjoyed setting this elopement among Trappers Cabin’s dense and seemingly endless grove of aspen trees. Decor styles were varied shades of white with a modern touch of clear acrylic and then a warmer color palette of rose gold, deep reds and wood tones inside for dinner. See more at Rocky Mountain Bride.